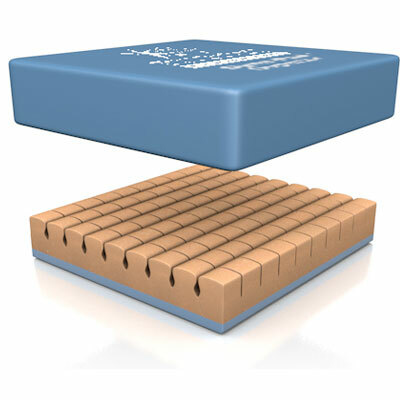 The Dynapad Superior Cushion comprises specialist 'castellated cut' CMHR foam so ensuring the reduction of heat and moisture build up, whilst achieving maximum pressure re-distribution. The Dynapad Superior Cushion provides excellent comfort for those users considered to be at risk of pressure ulcer develpoment. It is manufactured using castellated foam which reduces heat and mositure whilst achieving maximum pressure re-distribution. An added security of high density blue foam, prevents patients bottoming, whilst enhancing product longevity.It comes comlete with a high frequency, welded cover and non-slip base.